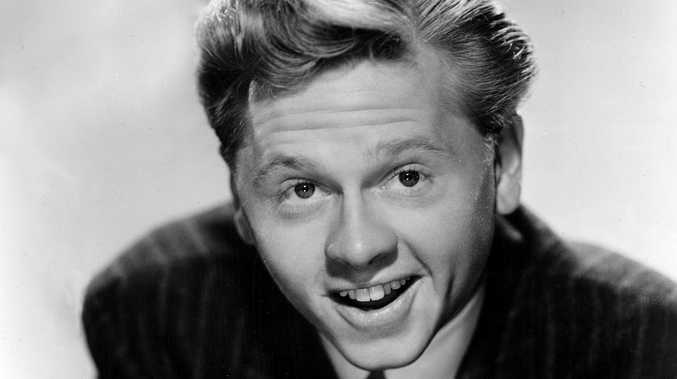 VETERAN actor Mickey Rooney- who began his career when he was just 18 months old - passed away yesterday aged 93 from natural causes following a lengthy period of ill health, TMZ reports. In his lengthy career, the 'Hardy Boys' star was nominated for four Academy Awards and received two special Oscars for his work, and in 1939 was the film industry's biggest box office draw, largely thanks to his portrayal of Andy Hardy in a 15-movie series, and frequent pairings with fellow starlet Judy Garland. He began his career in his parents' vaudeville act, Yule and Carter, and took on his first movie role as a cigar-smoking midget in 'Orchids and Ermine'. Despite his Hollywood success, the 'National Velvet' star - who married eight times, including to legendary actress Ava Gardner - was declared bankrupt by the early 1960s, with much of his money going on a "reckless" lifestyle and alimony payments to his ex-wives. However, he enjoyed a resurgence in popularity thanks to the 1977 movie 'Pete's Dragon' and Broadway show 'Sugar Babies' later that decade and continued to work regularly in TV, theatre and film, with his most recent appearance being in 2011 movie 'The Muppets'. Summing his life up in his 1991 autobiography, 'Life Is Too Short', the diminutive star quipped: "Had I been brighter, the ladies been gentler, the Scotch weaker, the gods kinder, the dice hotter - it might have all ended up in a one-sentence story."